Thali (plate for taking prasadam). Normal size (10 inches). Stainless Steel. Flat plate with no sections. 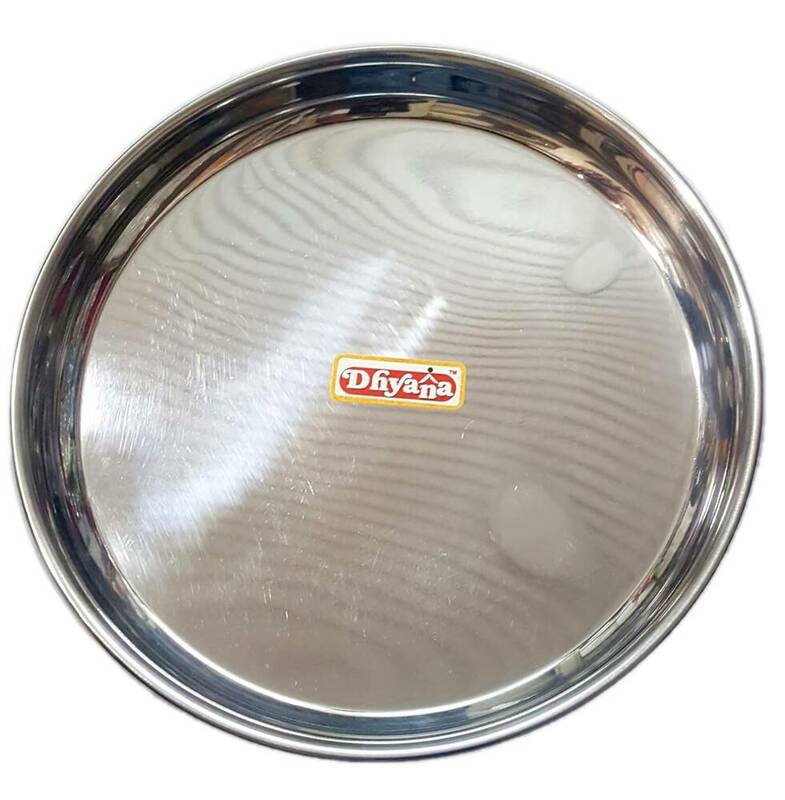 Currently viewing: Thali (Plate) for Prasadam -- Stainless Steel - 10"